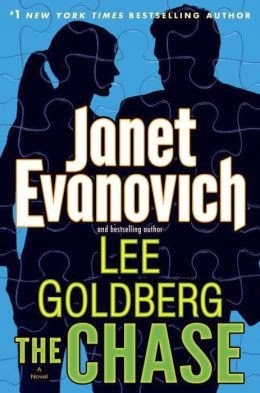 The Chase by Janet Evanovich and Lee Goldberg is a 2014 Bantam publication. I was provided a copy of this book by the publisher and Netgalley in exchange for an honest review. Nick Fox is a crafty thief with expert skills and this gets him a free pass to help the FBI bring down a criminal ring that includes none other than Carter Grove , the former White House Chief of Staff. When a priceless Chinese artifact is stolen from the Smithsonian, Special Agent Kate O'Hare gets teamed up with the infamous Nick Fox once again to retrieve the artifact before an international incident blows up. While the intricate plot unfolds, a wild and incredibly funny caper erupts into a race against time and skilled assassins. The couple end up getting help from some unlikely people that at first glance wouldn't seem like the best crew to have. Kate even runs into her father along the way. When I first heard that Janet and Lee were teaming up to write a series I knew it was going to be great. I just love the chemistry between the serious and straight laced Kate and Nick, a guy that has the abiliity to go with flow no matter how tense things are. These two make great partners and of course there is more than professional chemistry at work. "I'm starting to like it ... a lot. " "It's not what you think," Nick said. "You're lying on my flashlight." "Sure, Kate said. "I knew that." The secondary characters were also terrific. Kate's dad and his geriatric team were hilarious. The evil Carter Grove and his elite team were diabolical and he made a great bad guy. The humor fit the story and comparisons to the Stephanie Plum novels are not fair. This is a different series, with differenct characters, and a completely different atmosphere. I thought the lines and action were perfect for this type of caper. I enjoyed this book a lot and I'm recommending it to anyone that enjoys a good old fashioned caper, mystery, light hearted comedy and adventure with just a pinch of romance to put the cherry on the cake. A really fun read!! This one is a solid A. 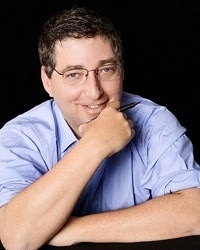 New York Times Bestselling author Lee Goldberg is a two-time Edgar Award nominee whose many TV writing and/or producing credits include "Martial Law," "SeaQuest," "Diagnosis Murder,""Hunter," "Spenser: For Hire," "Nero Wolfe," "Missing." "Monk" and "The Glades." 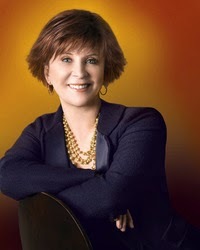 He's also the author of "The Heist" (with Janet Evanovich), "The Walk," "Watch Me Die," "King City," the "Dead Man" series, as well as the "Diagnosis Murder" and "Monk" series of original mystery novels.